Creative freelancing is a market, and only you can establish the value you bring to it. I don’t view the low end of the freelance rate scale as my competition. I can’t possibly know someone’s motivation for charging below-market rates or nothing at all, but that’s their right—and clearly there’s a market for such services on bidding sites, job boards, and elsewhere. Perhaps they don’t know better. Maybe they don’t care, or are independently wealthy. Some are just getting started and trying to build a portfolio. Some love writing, editing, designing (or whatever) so darn much that it’s more valuable to them than a profitable long-term business. If that makes them happy, who am I to judge? Similarly, a champagne-taste-beer-budget client isn’t my target audience. I’m confident that they’ll get what they pay for. Whether they ultimately seek out better, higher-paid talent isn’t my problem—it’s theirs. Obviously, there are a lot of unknowns. But what I do know is that I have zero-zilch-nada control over freelancers who undercharge or prospective clients who want cheap work, and any time spent worrying about either of them would be wasted. It seems to me that they make a good match. No one can force you to accept a project at Ridiculous Rate X. It just might take a little more negotiation, education, and persuasion to help them understand that your rates are worth paying, and why. For example, I had a prospective client who’d done some research on CreateSpace and the rates they charge for various levels of book editing. It was obvious he wasn’t doing it out of malice or trying to chisel me down on my price. He’s a financial guy, and simply wanted to understand the numbers. We had a good conversation, I explained my publishing services and process, and we came to an agreement. If you believe a potential client has been misinformed by a rate sheet or prices they’ve gotten from other freelancers, don’t take it personally. I imagine Reedsy was honest about its research findings. (I know some freelancers do well working with them, often at higher-than-average rates.) I’m equally sure that Amazon is profitable charging what it does for CreateSpace editing packages, though I don’t know anyone who’s worked with them as a freelance editor. It’s worth understanding what competitive rates are for services comparable to your own—and anything else doesn’t matter. The more confident and comfortable you can be about discussing your rates with a prospect, and why you’re superior to their other options, the more successful your freelance business will be. UPDATE 8-24: I’ve added the original Reedsy link, which the company has updated and republished. In the comments: Do you agree or disagree? Are low-rate freelancers doing damage to our industry? Of course, those of us who are established and successful have a number of advantages in dealing with clients who don’t want to pay what we think we’re worth. We probably have a financial cushion; we’re confident about our value; we can back up our expected rates with information about our experience and skills, not to mention testimonials from previous clients; and we can usually afford to say “Thanks, but no thanks” to people who want cheap editing. Great post! Shared everywhere. Glad to see sense prevailing, though I’d have expected nothing else from you, Jake. My competitors live in different countries and quote in different currencies. Trying to make meaningful comparisons in such a framework is nothing more than a quest for a headache! I advertise my services on several platforms. Google is the biggest, the most well-known and the most important for my business. That there are other editors in that global directory who charge less than me doesn’t detract from its usefulness and doesn’t affect my decision to be visible there. My job is to focus on persuading potential clients that I’m worth talking to, worth waiting for, worth hiring … wherever they find me. Every second spent worrying about what others are charging is a minute that could be spent on that persuasion! Thank you for the comment, kind words, and shares, Louise! My experience has been much the same–with regard to the importance of persuasion and conveying value, if not the currency juggling (although that sounds adventurous!). I can understand and agree with what you’re saying, but I also remember what it was like when I was first building my business, and every inquiry that came in was like spotting an oasis while walking the desert. It’s hard for newer editors who are charging reasonable starting rates to see that because it’s a serious blow whenever you lose a job to dirt-cheap rates. It feels like it’s seriously affecting you, so it’s natural to think it’s affecting everyone. Hi Crystal! Thank you for your comment. I haven’t forgotten (or maybe I should say *vividly remember*) the startup-stage challenges. Sounds like you transcended them by sticking to your principles and controlling the things you could control, which is ultimately what makes a successful business! Spot-on article, Jake. This couldn’t have come at a better time. I’m at that stage in my career where I won’t lower my rates substantially because I prefer to work with authors who are serious about quality and willing to invest in working with an experienced professional. But I am passed over sometimes because not every indie author can pay my rates. This article is a great reminder that for every author who has no choice but to hire an inexpensive freelancer, there are authors who can afford to hire me. There’s also the possibility that authors who can’t afford my rates currently may find a way to do so later on. I’ve often been hired to edit an author’s later books after they received negative feedback about the errors in their earlier books. It’s part of an author’s learning experience, I suppose, and I’m only to happy to help them put out a better quality book when they are ready. Thanks, Nikki! You’ve pointed out a valuable between-the-lines aspect to the situation, which is that you can still develop a relationship with someone even if the timing/budget aren’t right at the moment. Expressing genuine interest in their success/occasionally touching base can be a great rapport-building strategy. Thanks for reading & commenting! Well said, Jake. Another great thing about charging what you’re worth: it forces you to think: about your brand, your reputation, your ideal client, and the service you provide. You learn to offer your clients options, you walk them thru the steps and procedures, you explain how you will solve certain problems, and you demonstrate your expertise the whole time you’re doing it. You establish trust and credibility. Seth Godin once said: ““Cheap is the last refuge for the marketer who can’t figure out how to be better.” The same thing applies to writers, designers, illustrators, and anyone else selling a product or service. Great post, Jake, thanks for sharing. Hi, I’m a new freelancer. I’ve been doing it a year since completing my History degree. While I have several good reviews and repeat customers, I still find it hard to drum up new business. My main problem is that after I have done the sample edit the author always loves my work but then can often not afford my rates. My pricing is compared with the likes of Fiverr or PPH (I charge at the bottom end of what SfEP recommend because I am still fairly new). While it’s not cheap, and I do understand that not everyone can afford them, I have never been asked why I charge what I do and when I have tried to volunteer it I was accused of being just another ‘greedy editor’. It’s gotten to the point where I have decided to stop doing free samples because I can’t afford to have my time wasted anymore. I will, of course, be refunding the sample against the final invoice if I get the project. Above all, I am betting that anyone who would accuse someone of being a “greedy editor” would end up being a lousy client. An overbearing focus on money is a huge red flag. In any case, best of luck–and keep me posted on your progress. Although I have written similar essays on An American Editor, I think there are a couple of important points that aren’t emphasized enough in either my essays or in your essay with the most important one being clarification of who makes up the target market. Our view is most appropriate/accurate when the target market is the independent author who is hiring the services directly and least appropriate/accurate when the target market is the intermediary between the editor and the author, such as a third-party packager or the publisher. Of course, there are a number of target markets between those two end caps, with some being closer to the indie author and some being closer to the intermediary. This is important because too often we fall into the trap of stating a “rule” of action (in this case, convince the client of the specialness of your [i.e., the universal “you”, not “you” Jake] services and why you are worth higher pay than others), which rule is inapplicable in some target markets for a variety of reasons. The reality is that certain markets are immovable — they have a set, narrow range and either one accepts it or leaves it. What I have found is that there is more to the “rate” than just the dollars that are exchanged. It is necessary to identify all the elements of your rate and assign those elements a value as part of the rate. For example, schedule is an intimate part of my rate. A 500-page manuscript that has a schedule of 5 days, which includes my weekend days, is higher priced than the same manuscript with a 30-day schedule that does not include any of my weekend days. I view schedule as 30% to 50% of my fee calculation; that is, I charge for a rush job 30% to 50% more than I charge for a “leisurely” job. Consequently, one consideration as to whether a fee is adequate is schedule and if the fee is inadequate for the schedule, to try to negotiate the schedule rather than the fee. But one final point, which I consider the most important point in the whole is-the-fee-sufficient discussion: It is impossible to accurately know whether the proffered fee is adequate if you do not know your required effective hourly rate (rEHR). It does not matter what others charge or what you charge if you don’t know this number. It makes no sense to decide that $10 an hour is too low or that $35 an hour is adequate if you do not know the relationship between those amounts and your rEHR. If your rEHR is $50 an hour, then no EHR less than $50 will be adequate; if your circumstances have changed and your rEHR is $10, then the $10 per hour fee is adequate and the $35 per hour fee is fantastic. More importantly, knowing your rEHR gives you the negotiating information you require. If your rEHR is $50, you can know pretty quickly that someone offering $10 per hour is unlikely to jump to $50, whereas if your rEHR is $15, moving the client from $10 to $15 per hour is doable. Your rEHR is a valuable concept for freelancers to understand and apply, so thanks for sharing the basic principles. It drives me bonkers when freelancers think the answer can be found in a rate survey, or out of thin air, without ever questioning whether the numbers are applicable to their own business and circumstances. Ah, Reedsy. To fully appreciate the “results” of any “study” it produces, it helps to be aware of the level of subliteracy on display on the Reedsy website. Consider, for example, this sentence about what authors can gain from working with editors (see: https://reedsy.com/editing/book-editor): “You’ll probably learn more about the craft of writing — plot, characterization, dialogue, worldbuilding… — than if you took an creative writing course.” Well, OK. Probably more than you’d learn from “an” creative writing course taught by the person who wrote this content. That’s the point: unless you know the editorial standards that correlate to whatever rate information you’ve seen, the rate information is meaningless. And unless you couch your own rates in terms of the value you deliver rather than the number of words or pages you review or the number of hours you work, there’s a good chance that you’re not compensating yourself accurately. The analogy I often use is: how much does a wedding dress cost? Vera Wang’s Luxe Collection starts at $6,900, but Google can quickly lead you to $99 wedding gowns at stores like Sears. You probably have at least some idea of what’s influencing that price differential for wedding gowns. As a freelancer, you should also understand what influences price differentials in editorial rates. And if you’re on the budget side of the spectrum, you might want to find out what the higher-end editors are doing that you’re not. Do they market themselves differently? Do they have skills you lack? 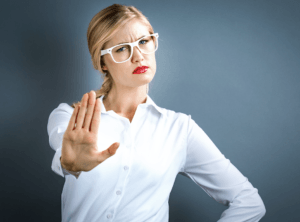 Are you for all intents and purposes deliberately undermining your own earning power by over-romanticizing one type of client (say, indie authors) and scorning another (say, corporations)? Instead of worrying about staying ahead of the freelancers whose rates are lower than yours, concentrate on catching up to those whose rates are higher than yours. That’s how you make the low-budget outfits irrelevant to your business. Hey Randy, long time no talk! I’ll confess that the only time I’ve ever been on the Reedsy site was to view the blog post. Thanks for the additional insight. You know, I batted around a bunch of analogies (McDonald’s vs. Ruth’s Chris Steakhouse, etc.) before deciding to not use any–although I stole a friend’s comment that “Neiman Marcus doesn’t give a hoot about a sale at Walmart” for LinkedIn, ha. The wedding dress comparison is an apt one, and your thought process dovetails nicely with mine–particularly avoiding the romance/scorn trap. (Might have to pilfer that as a jumping-off point for a future post.) Thanks for sharing your perspective! Jake, yes, it’s been a while. Nice to catch up here. If I may, er, embroider a bit on the wedding dress analogy, it’s not so much realizing that Vera Wang isn’t threatened by Sears. It’s understanding what attracts buyers to the higher-end product (or, in the case of our profession, service provider) and figuring out how to make those selling points part of your value proposition so that the higher-paying clients are attracted to you. I recall a LinkedIn rates discussion in which a poster expressed exasperation with those of us who charge higher rates and basically threatened to contact our clients and lure them away with lower rates. It was beyond her conception that my clients would count underbidding as a mark against her and question how good she could possibly be at the rates she was claiming to charge. So I’m advising freelancers who are at or below subsistence wages to ask themselves what value higher-paying clients see in higher-charging freelancers work, and to draw from that lessons about what they can do to be perceived as worth more money. Embroider away, my friend! That is a crazy anecdote about the theft threat. Who would even verbalize that kind of foolishness? Geez. I’m reminded of a recent conversation on a Facebook editors group, in which someone was saying it’s unethical(!) to charge higher prices to wealthier people or business clients with bigger budgets. Had a hard time wrapping my mind around that one. I totally agree that there is no need to worry about other freelancers undercharging. One of the main reasons that I do not worry is that much of my work is done for medium-to-large businesses and they have usually found me because they are specifically looking for someone with a technical background, i.e. I am not bidding for a job, they have found me. 1. What do they expect it to cost? 2. What is the maximum they can easily pay me? 3. Whose money are they spending? The first one can be a showstopper. There are some clients who simply do not know how long a job takes to estimate a price. I suspect that the second one is often more important, though I rarely find this out. When I was an engineer, I would hire freelance technical consultants without questioning the price up to the point that A) I felt they were taking the weewee, and B) I had authority to not be forced into a mini-tender (which would involve the procurement department and delay the work). Why would I pay whatever someone quoted, points A and B notwithstanding? Because I was spending someone else’s money. For me, I would say that focusing on your unique selling point and being find-able by your target market are the things that will give you the best return for your mental effort! Great perspective, Peter. You’ve hit on some frequently overlooked factors that affect the rates we can command. I’ll also echo your sentiment as far as the value of referrals (i.e., being found) vs. competitive situations: More often than not, a person/business seeking you out is going to know your approximate price range, and it also gives you negotiating leverage. So, the more of that work you can get, the better. Thanks for reading and commenting! This is the frustrating part for me. When we shop for clothes, we understand that Walmart’s are made with cheaper labor and cheaper materials than a boutique store’s. 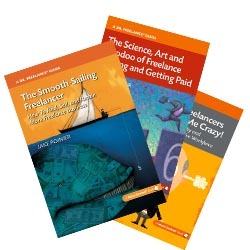 If you’re a client who’s not familiar with the publishing industry, however, you may look at a cheap freelancer and an expensive freelancer side by side and assume the expensive one is trying to cheat you.